ORLANDO, FLA (March 1, 2013) — Today marks the dawn of a new era in cable parks around the world. Aktion Parks, owned by Correct Craft, announced one of wakeboarding’s heavy hitters; Shaun Murray signed a multi-year agreement to help implement a learn how to ride program for all future Aktion Parks properties. This partnership will bring a new professional instruction to the cable park side. Murray will work with all Aktion Park properties incorporating his style of instruction and training that he has used and developed over the past 18 years for both boat and cable alike. Murray established himself as a leader, innovator and an icon in wakeboarding, a four time World Champion, and an inventor of many tricks as well as featured in Wakeboarding Unleashed video game for Xbox and PlayStation 2. Shaun Murray commented, “Being involved with Aktion Parks on the ground level is a dream come true. 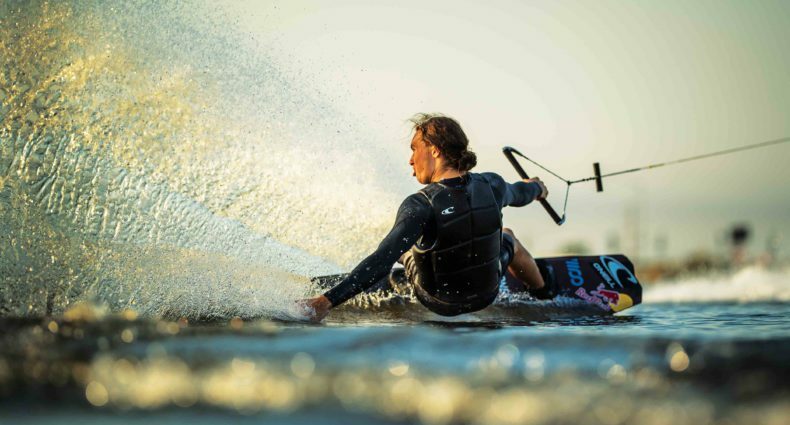 Wakeboarding is a great workout and with proper technique; you can put less into your riding and get more out of it.” “The Learn and Progress programs are designed to attract new people to the sport in addition to being easy to learn, getting a non-traditional workout and having a great time,” added Murray. “Our Aktion Parks team is thrilled to be working with industry icon and Team Nautique rider Shaun Murray in creating a one-of-a-kind professional instruction for both those just learning to ride up to the professionals who want to improve at either the cable or boat level,” stated Aktion Parks President/CEO Bill Yeargin. “Our goal is take the intimidation out of learning and making it fun; there’s no one better than Shaun to do that,” add Yeargin. Celebrating 88 years of excellence in the marine industry, Correct Craft is the producer of Nautique boats and the owner of Orlando Watersports Complex (through its subsidiary Aktion Parks). Correct Craft is known for delivering the highest quality product, innovative technology and exceptional customer service experiences. To get more information on the company or see the complete line of Nautique boats, visit www.nautique.com.